Meetup is designed to bring people together by facilitating the coordination and hosting of real-world events. It currently supports over 30 million registered members, 270,000 groups and 600,000 monthly Meetups in 182 countries. The company started with a website, added mobile apps and now have launched a Meetup Amazon Alexa skill that will tell you what is happening with your groups and when your next Meetup is scheduled. I tried it out this week and found it was easy to complete the account linking and the skill correctly told me when my upcoming Meetups were scheduled. I also added an event from a web browser and just a couple of minutes later it was also accessible on my Echo. That was nice to see how the API was integrated and that the data refresh was quick. 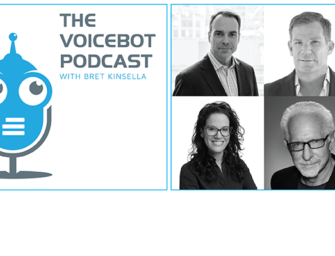 Voicebot caught up with Kathy Tafel, Meetup director of mobile engineering, Kristen Hodgson, communications director and Witlingo CEO Ahmed Bouzid to learn more. Why did you decide to develop an Alexa skill for Meetup? Kathy Tafel: The opportunity was presented to us via one of our technical hires that knew people at Amazon. When she came to the company, she was excited about Alexa and wouldn’t let up. One of her former colleagues at Amazon was Ahmed Bouzid from Witlingo. So, she made the introduction. Once we were complete with our rebrand, we directed our attention to this project. We thought it was a great way to show how our platform can connect people [across devices]. Why does meet up do anything? We want people to be meeting up, getting together and talking. Anything we an do to help people get together, we want to do that. Kristen Hodgson: A core value as a company is futurizing our service. We were originally just a website, then we had to evolve as a mobile and web company. Being on the Alexa devices is important to us because it is one of the places our customers are. What we measure ourselves on is people meeting up in real life. All of our efforts are connecting members to meet up. What we are launching with Alexa will help people find that right meet up and show up for it. As Amazon gets more entrenched in the hotel industry, it will be easy for people to find a Meetup near them when traveling. They can use their Echo in their hotel room and find out what’s happening in the area. What was the process for getting the skill live? Tafel: Witlingo really shepherded the process. We worked with them to define what the skill should have as an MVP. Once we defined that, Witingo took the dev process over and got it up in the Alexa store. They have been an amazing partner. Ahmed is amazing to work with. He loves Alexa. We love him because he is a Meetup organizer. He is so embedded in the industry and ecosystem that even if we had tried we wouldn’t have made it here so quickly [on our own]. What surprised you most about working with the technology? Tafel: Once Alexa gets going, you almost have to treat her like a puppy. Hearing a list of Meetups read back to you — it was so nice to hear it in a different way. Until I heard it, I didn’t believe it. Hodgson: Meetup is a very people-centric product and service. There is something about having a human or bot voice speak to you, that feels really right for us. What is unique about this Alexa skill? Ahmed Bouzid: I like this skill because the user base is passionate. People who go to Meetups and organize Meetups are fans of Meetup. Also, the data is constantly changing so there is reason to check frequently. And, the information can be communicated quickly, the title of a Meetup, so delivering it via voice works well. What we have built is an MVP. There are many other features we could have added but we wanted to get it out sooner versus later and let users have input on how to prioritize what to do next. We are very eager to see what people want next. What is your next step for the Meetup Alexa skill? Tafel: I would look to the next iteration of our Android app, [launching] this weekend or next, with much more granular filtering options as a guide. [It will show] what are the next Meetups on Friday evenings in a particular technology segment. It will filter by relevance and not chronological. It is a brand new Meetup feature. Tafel: Aren’t I supposed to say the Meetup Skill? The most useful thing is bedtime music for my kid — downtempo Ambient for an hour.